With rising energy costs and expanding energy consumption awareness, it’s no wonder variable refrigerant flow (VRF) technology continues to gain ground in the U.S. marketplace. VRF has the potential to achieve 34 percent energy savings compared to older systems, according to a study by the U.S. General Services Administration. The U.S. market was estimated to be worth $7.25 billion in 2012 and is expected to grow at a comound annual growth rate of 5.2 percent through 2019, according to a report by Transparency Market Research. Malcolm Persaud, senior manager, product and market development, Panasonic Air Conditioning Group, said because the U.S. has a history of preferring ducted systems, most contractors’ skill levels revolve around sheet metal and ductwork installations. However, the market is now experiencing a paradigm shift. 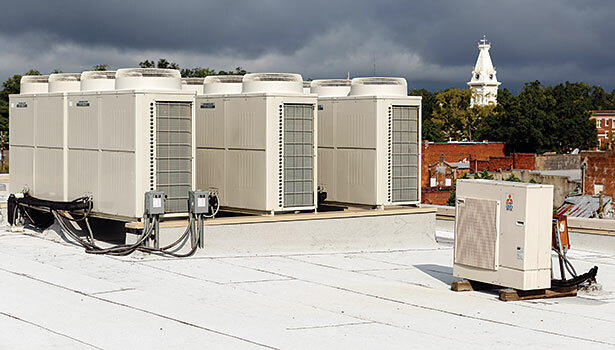 Kevin Miskewicz, senior manager, commercial marketing, Mitsubishi Electric US Cooling & Heating Division, believes the VRF market is going to ramp up and grow more quickly as new efficiency regulations take effect. “We introduced the technology into the market in 2003. In 11 years, it’s grown quite rapidly to just over a half billion dollars. Persaud considers himself an evangelist because he was one of the originals who launched VRF products in the U.S. After spending much of his time touting the technology’s benefits to architects, engineers, and building owners, Persaud said the greatest change in the market has been acceptance. Because VRF is an advanced technology, proper design-build, installation, and maintenance training are extremely important, according to Bill Moltner, vice president and general manager, VRF, Lennox Intl. 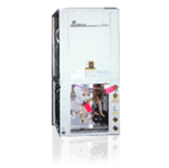 Inc.
Lennox is one of several manufacturers that has made training a requirement prior to selling its equipment. The manufacturer has opened three training academies for technicians in Carrollton, Texas; Fort Lauderdale, Florida; and Pine Brook, New Jersey, and plans to open a fourth in Eastvale, California, soon. It’s easy for customers to become slightly sticker shocked when seeing the total cost for a VRF system, but manufacturers are encouraging contractors to show contractors the whole picture. 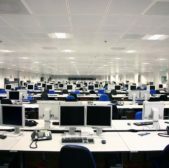 “VRF tends to have a higher first cost than comparable unitary options,” said Jackson Willis, mid-Atlantic sales engineer, Fujitsu General America Inc. “However, it also has a lower life cycle cost, due to higher efficiency and lower maintenance. When compared to other commercial technologies, VRF will often have both lower first cost and lower life cycle costs.